The problem of fake Bangalore University degree certificates that surfaced recently in Mangalore appears to be as old as the varsity itself. It’s only the tip of the iceberg. Offers of degrees and certificates are openly advertised. The ads, posted on various websites, claim to provide degree certificates from various varsities in no time. From SSLC and PU marks cards to postgraduate and diploma certificates, fakes of any varsity are available. Some universities whose degrees are on offer don’t even exist. The certificates come in various packages, starting from Rs 5,000 to Rs 65,000 or more. Closer the date, bigger the degree and better the marks, higher the price of the fake certificate. Universities deal with fake certificates on a regular basis when they are sent for verification. Bangalore University says of the 20-plus requests it gets for verification every day, 1%-3% are bogus. A couple of months ago, Bangalore University received a mail from the Canadian High Commission. 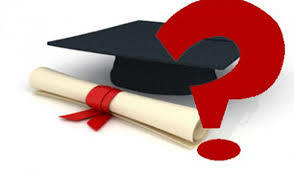 The mail was regarding verification of a BU degree certificate provided by a candidate. The certificate bore a fake signature of the registrar (evaluation). “The moment I looked at the certificate, I knew it was fake. The signature of the then registrar (evaluation) looked doubtful. I’ve been with the varsity for 30 years and know what the signatures of ex-registrars look like. Moreover, the certificate read ‘University of Bangalore’ at the top, though it’s Bangalore University,” says RK Somashekar, registrar (evaluation). “The fake marks card network is more than a decade old and spread all over the state. Right from I PU to final-year degree certificates, marks cards are prepared by miscreants with basic computer knowledge and printing software. Sometimes it’s difficult to differentiate between the originals and duplicates. In recent years, culprits are using colour photocopying machines to fake the hologram also. The prices of these marks cards range anywhere between Rs 5,000 and Rs 25,000. Those seeking first class and distinctions shell out Rs 50,000 per marks card,” a senior IPS officer said. In case the certificate is fake, the varsity approaches the respective companies to obtain the candidate’s current address to send a notice. The notice seeks clarification from the candidate within the specified time. In case of no response, the varsity issues a public notice with details of the certificate. A police complaint is registered and the certificate stands annulled. Just last week, a fake Bangalore University certificate surfaced in Mangalore. The certificate for a degree in history, economics and political science was furnished by a person in Kerala. On checking with the university, it was found to be a fake. A number of such fake certificates are suspected to be in circulation in Mangalore and parts of northern Kerala, indicating that there’s a racket going on in that region. In January, Mangalore police had busted a marks card racket by arresting two persons. In November 2012 too, they had arrested two persons for a similar offence. In both cases, the accused had produced fake certificates of various courses of different universities across the country. Police sources said they sold certificates for amounts between Rs 30,000 and Rs 1.2 lakh, depending on the course. The ease with which fake marks cards can be got for a price seems to indicate that the racket is a well-oiled machinery and there’s a steady demand for it. The racket is also a pointer to the desperation of the unemployed who need some papers to ensure they get a job by hook or by crook. It’s now up to Bangalore University to provide police all the inputs they need to swiftly crack down on the crooks and also put in place security measures on their certificates so that the fake ones can be quickly spotted.